[This article was written by Pete earlier in the year for SOBA’s rather excellent Pursuit of Hoppiness magazine. For those overseas, here is the full piece to enjoy, hence some upcoming events mentioned have already happened - GABS, new brewery install etc]. 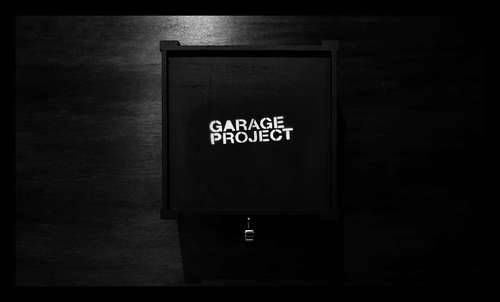 It seems timely to be writing an, albeit short, potted history of the Garage Project. There are two reasons for this. One is that this article is due tomorrow (I wouldn’t say that running things right down to the wire was a defining feature of my own personality, but it seems to have become something of habit the Garage Project). The other reason is that we’ve spent the last two days installing (and the last year planning) a new 10 barrel brewery in our Aro Valley garage site. The whole Garage Project story probably goes back further, but a defining moment came at the beginning of last year when Jos and I sat in the corner of Hashigo Zake to try to work out how we might go about starting a craft brewery in Wellington. It would have to be something different, something remarkable. What would be the point in just opening another craft brewery? But how? I’d just chucked in my job after 5 years brewing for the Malt Shovel brewery in Sydney. This had not been a snap decision so much as a slow motion table flip, but the adage ‘don’t give up your day job’ seemed suddenly poignant. Neither Jos nor I were eccentric millionaires. We might have had the first trait nailed, but that second one seemed to have eluded us. The idea of going around, cap in hand, to scrape up the funds necessary to start a brewery somehow just seemed wrong. We needed something different, something maybe a bit daring, something which might set the tone for the brewery we imagined. That’s when we decided to strike out on a tiny pilot brewing kit. Funds dictated that it would have to be small, but the best we could get with the money we had, and it would have be something that would stay with us, even when were able to grow. But there was more to this decision than just economic necessity. Back then I wrote, “bigger isn’t necessarily better. What we lack in size we will more than make up for in agility and the ability to experiment. When you’re brewing on such a small scale you can afford to take risks. 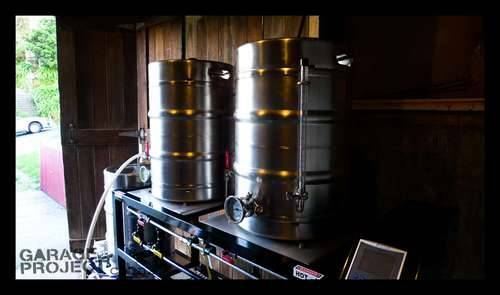 You can try things on a 50 litre brew kit that you wouldn’t dream of attempting on a 50 or even 5 hectolitre brew kit. That suits us. We’re here to try something new”. It was true. After brewing professionally for 9 years in large breweries I was ready for something a bit different. So, inspired by Hemmingway’s advice to always do sober what you said you’d do drunk - on the grounds that it will teach you to keep your mouth shut - we embarked on brewing 24 beers in 24 weeks. 24 different beers in 24 weeks, what an awesome idea… until you wake up and think about what’s really involved! If I’d wanted an antidote to the routine of commercial craft beer production I certainly got it. A beer launch a week for six months; part excitement, part terror - especially as our frugal supply of beer meant that there was often barely enough for me to have even had a sip before the kegs went to the bar. 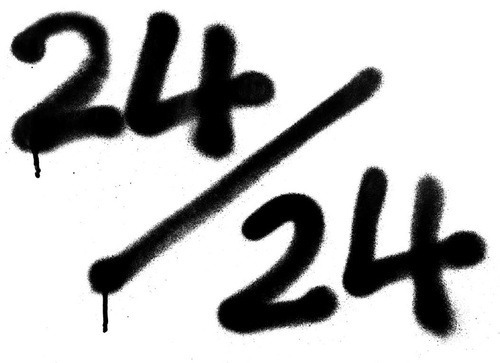 The spirit of the 24 was to experiment openly. There would be no tinkering away perfecting the beers that we launched, people were trying our raw results. Imperfect, yes, but we hope always interesting. We promised to try and push some boundaries, and we hope we lived up to this promise. … and last but not least Rum & Raisin. 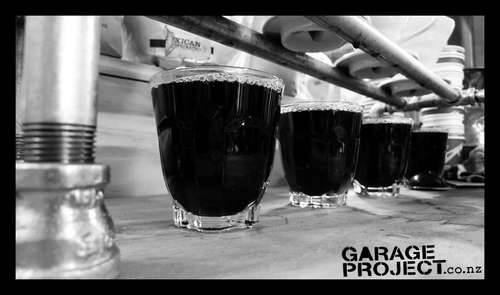 We also snuck in Summer Sommer, Angry Peaches pale ale, ANZAC biscuit inspired amber ale, a couple of cask ale offerings and a coffee porter (If you’re interested you can check out any of the beers we’ve brewed in the archives of our web site www.garageproject.co.nz). It was quite a trip. Along the way we collaborated with artists, coffee roasters, ice cream makers, a band and even brewing legend Kjetil Jikiun, cofounder and brewmaster of the Norwegian brewery Nøgne for our Summer Sommer Rye and Pohutakawa honey ale. All the way through the 24 we asked people to tell us what they thought of the beers and rate them on our Garage Project coasters, which we collected in our little black box on the wall of Hashigo Zake. This coaster feedback made for a fascinating read, particularly, in some cases, how different people’s reactions could be to the same beer. And which beer came out on top? 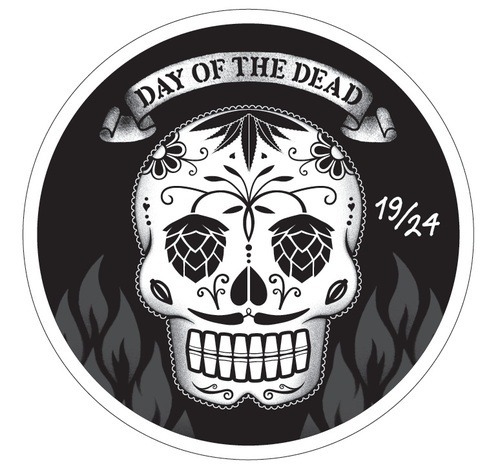 The number 1 spot belonged to Day of the Dead, our chilli chocolate black lager, launched on November 1 to coincide with El Día de los Muertos - Mexico’s Day of the Dead (we’ve since then brewed a special, high strength Double Day of the Dead for the Great Australian Beer Spectapular (not a typo) to be held in Melbourne in May). Coming in neck and neck in second place were Pernicious Weed and Trip Hop, two of the hoppiest offerings in the 24. Other big favourites were the Dr Grordbort’s inspired Venusian Pale Ale (VPA) and Lord Cockswain’s Courage Porter, our hoppy stout Aro Noir (brewed on the dark side of the street), and the first of our coffee collaborations with People’s Coffee, the No. 1 Coffee Bock. And then, there is the inevitable question, which beer came in last? It was a beer that polarized drinkers more than any other, the infamous Green Coffee Saison. 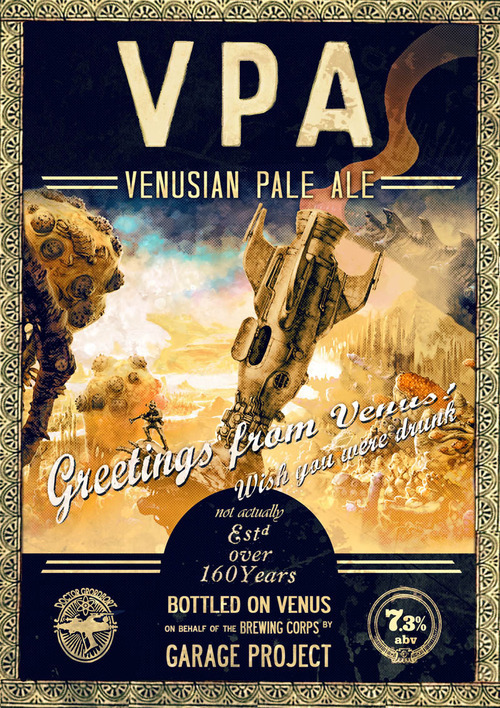 Not to everyone’s taste certainly, but still a beer we’re proud to have tried. Experimentation was what Garage Project promised and we think we delivered. 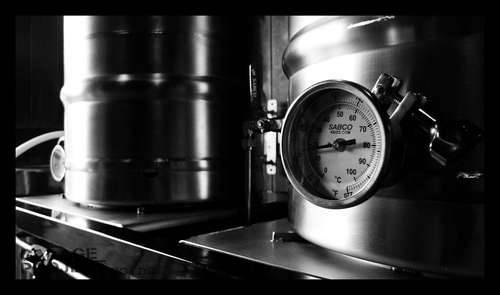 And as of today we now have not just the little pilot plant that saw us through the 24, but a 10 barrel brewery. Some might think that this is a huge leap from our 50 litre kit and the 24/24, but I don’t think all that much has changed. Today we also received delivery of two 140 litre fermenters that we’ve bought off Jo Wood from Liberty Brewing. Due to Joe’s deserved success he’s growing and no longer needs these smaller tanks, but they’re perfect for us. They’ll allow Garage Project more room to experiment - to play on our pilot plant – to keep that spirit of the 24. We already have 24 more planned, and that’s just the beginning.